Hurricanes are a familiar sight to many Floridians, with the Atlantic hurricane season running from June 1st until November 30th every year. The best way to stay safe during a hurricane is often being well prepared– stocking up on the correct supplies, having the right information, and making sure your home is appropriately fashioned. With what’s sure to be another active season ahead, we’ve put together a guide to help keep you and your home prepared in case of any upcoming storms, no matter what kind of property it is. Because Florida gets routinely battered by tropical systems of all shapes, sizes, and intensities, most modern homes are built to withstand high winds and storm stress. However, sometimes, your home might need an extra boost to stay in one piece if a hurricane is headed your way. Keep yourself and your family safe by prepping well ahead of landfall! • Windows: Protecting your windows is a priority! The amount of pressure that builds within your home from a broken window can be enough to rip the roof right off your home from the inside. Using 1/2 to 3/4-inch marine plywood is best if you do not have hurricane shutters. Plywood for windows should be procured and installed well ahead of the storm’s arrival. Cut the plywood to fit all windows, and drill screws 18 inches apart. Do NOT tape your windows! This only makes what would have been shattered glass into large sheets of glass that can cause injury and damage. • Trees are the next most important priority. We all love Ocala’s beautiful palms and oaks, but a giant live oak limb through your roof is not a good look. Be sure to regularly remove all weak and dead tree limbs near your home, and discard ones you find on the ground–they could become missiles later. The time to do this is now, if you wait until a storm is about to hit, there may not be enough time to discard your tree debris before the storm leaving you and your neighbors at risk. • Flooding: Know your zone! Storm surge is one of Florida’s major concerns after a Hurricane. If you’re unsure whether your home is in a flood zone, check with the county and plan accordingly with sandbags or an evacuation plan. You can also visit the FEMA Flood Map Service Center and search by your address. Many homes in Marion County are located on hills or in elevated areas, but others are low-lying. Homes that border Putnam County is especially vulnerable. Have a “go bag” ready just in case you have to get out fast. If your home begins to flood, evacuate and reach dry ground even if the floodwater is not strong or high. 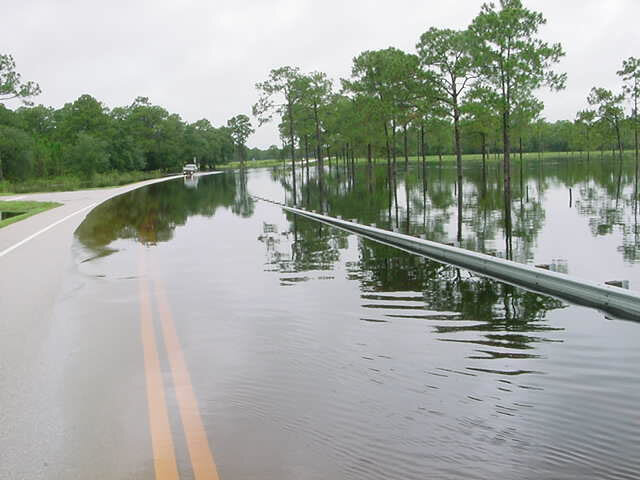 Click here to read about 5 Things Florida Residents Need to Know About Flood Insurance. • Supplies: Have at least a week’s worth of supplies on hand including cash, gas, propane for cooking, drinking water, non-perishable food, and batteries. • Other preparation: When a big storm is approaching there are a few things that can make life a little easier if the power should be out for awhile. Fill bathtubs with water; you can use this water to fill your toilet tank in order to be able to flush your toilets. Also, purchasing a camping solar-shower bag will allow you to heat water outside during the day to have warm showers at night – simply hang the shower bag on your shower head and wash away your day of no air conditioning. Turn down the temperature in your refrigerator and freezer to keep food from spoiling faster. Remember to fill prescriptions and have a first-aid kit handy. Babies and young children will also have specific supply needs. For a more comprehensive supply list visit the National Hurricane Survival Initiative. If you’re like most Ocala horse owners when a big storm heads our way, your animals are the first thing on your mind. Rest easy knowing that there’s plenty you can do long before a major storm hits to keep your horses out of harm’s way. • Have your horses (and all your animals!) microchipped and registered. • Know your evacuation route, and be prepared to leave early to beat traffic. • Ensure that you’re able to access a truck and trailer or commercial transport at all times. • Contact all counties in your evacuation plan for info on equine housing facilities. • If you are evacuating, bring a week’s supply of hay, feed, and as much water as possible. • Be sure horses are wearing halters (nameplates are highly recommended) immediately prior to the storm’s approach. Write down your name, address, and phone number and wrap it securely around each horse’s halter with tape. • If you are not evacuating, fill all troughs prior to the storm’s approach, and consider investing in 85-gallon tanks to transport water to pastures in the event of a power outage. Be sure to have a week’s supply of hay and feed on hand in case stores are closed. • If your barn isn’t sturdy enough to withstand a storm, horses should be left outside their pastures. • If your property is in a flood zone or is vulnerable to surge, DO NOT tie horses up in stalls or in pastures. If your barn begins to flood, let your horses out IMMEDIATELY and as fast as possible. For more information about what to do during a hurricane, and how to secure your home and horses, visit the Marion County Sheriffs Office website. In 2017, Hurricane Irma was a stark reminder to all Floridians that we must always be prepared for the worst during hurricane season. Those of us in Marion County who have horses and livestock to care for were particularly impacted. Resources were stretched thin, and our animals needed feed, water, and shelter. Enter the Florida State Agricultural Response Team. SART is a multi-agency group dedicated to helping the agricultural community during natural disasters. To find emergency resources for your agricultural needs, contact Florida SART. And while you can only do so much to safeguard your home and property against storm damage, there’s plenty you can do to keep yourself safe in the aftermath of a major hurricane. In fact, it’s only after the storm passes that safety becomes a dire issue: the majority of hurricane injuries and deaths do not occur during the storm but during the days and weeks after the storm is over. Here’s what you can do to ensure your health and safety while dealing with the aftermath of a hurricane. Floodwaters: In a state where most of the population lives on the coast, or in low-lying areas near rivers, storm surge one of the biggest concerns during and after a major hurricane. Floodwaters not only threaten your property, but they can also negatively impact your health. The waters of a flood carry not only debris but bacteria, sewage, waste, and venomous insects. In the aftermath of Hurricane Harvey in 2017 floating venomous fire ants linked together in colonies searched for dry land – read the full story by NBC News. Coming in contact with floodwaters of any depth can cause contamination, infection, and illness. If your home begins to flood, get to dry ground as soon as possible, even if the waters are not very strong or very high. If you have evacuated and return to a flooded home, avoid contact with floodwaters and do not enter your home until the water has receded. Do not stay in a severely water-damaged home if at all possible, as water damaged homes promote mold growth and can negatively impact respiratory health. Power Outages: When a major storm hits your area, you can count on the power being out for several days to a week or more. Power outages aren’t just inconveniences—they can become very dangerous very quickly. Hurricane season includes some of the hottest months in Florida, and when the power goes out, the risk for heat-related illness or even death significantly increases. People who suffer from heart disease and cardiovascular issues may find their conditions are aggravated by exposure to the heat. 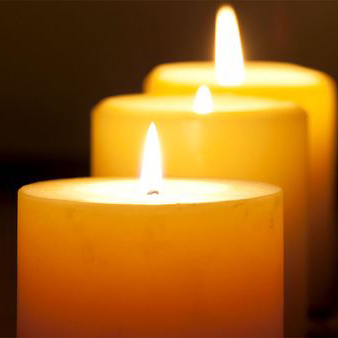 Power outages are also a major concern for people who rely on in-home medical equipment. If you are especially at risk for heat-related illness or have medical treatments that require electricity, be sure you are on the special needs evacuation list and have a safe place to evacuate to in the event of a major storm. • NEVER use a generator inside your home, garage, shed, or any other enclosed/partially enclosed area. This will cause carbon monoxide poisoning, which is DEADLY. Do not run your generator near any open doors, windows, or vents that could cause carbon monoxide to enter your home. If you begin to feel sick, weak, or dizzy while a generator is in use nearby, get to fresh air RIGHT AWAY and call 911. 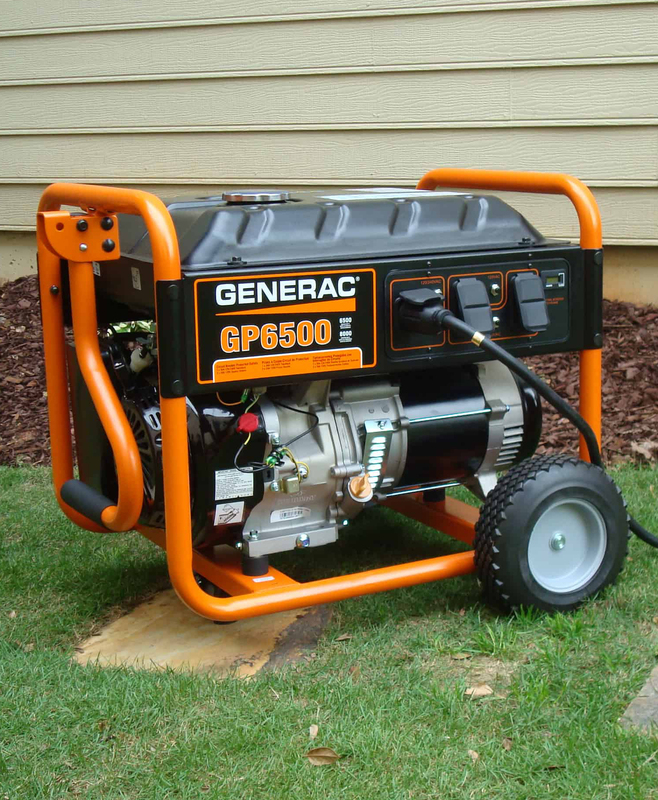 • Keep your generator dry at all times to avoid electric shock. Run it outdoors beneath a canopy-like structure to protect it from the rain. Do not operate your generator with wet hands or get it wet. • Never attempt to power your home by plugging your generator into a wall outlet. This can be very dangerous for line workers repairing lines that connect to your home, as well as for anyone using appliances inside the home. Plug appliances directly into your generator, or use an outdoor-rated extension cord that is at least equal in watts or amps to the sum of the appliances used. • Be sure to turn your generator off and let it cool down before refueling. Spilled fuel can ignite if exposed to hot engine parts. • Store generator fuel away from living areas in a secure location. Do not store near fuel-burning appliances. If you are a homeowner affected by the storms during the 2019 Hurricane Season contact the Marion Disaster Recovery Network for more information on what you can do to recover from the devastation. Unfortunately, Hurricanes and their aftermath are a part of living in Florida. Luckily, there are plenty of organizations willing and eager to help you regain normalcy after a Hurricane like Irma in 2017. Below is a list of resources we’ve put together to help you to through the season. Supports local service organizations that help individuals and their communities with disaster response and recovery efforts. A readily accessible facility or mobile office providing several different services for disaster assistance, including housing assistance, legal services, crisis counseling and more. Coordinates the response to a disaster that has occurred in the United States on both a federal and local level. Provides food, shelter, and comfort to families affected by Hurricane Irma, Harvey, and many other disasters. The Florida Department of Agriculture and Consumer Services is the lead agency for animal and agricultural emergencies. SART partners have specific interests and resources that can be used to address the needs of Florida. Provides affordable insurance to property owners and encourages communities to adopt and enforce floodplain management regulations. For questions about insurance policies. Assists consumers with filing claims after a disaster such as Hurricanes, floods, and more. Offers assistance to businesses and residents whose employment or self-employment was lost or interrupted due to Irma. Provides support to businesses that suffered economic or physical damage from Hurricanes. Offers a business damage assessment surveying tool for businesses to report damages. To stay updated on local events, resources, and news, follow us on Facebook or check out more of our blogs. Contact a Showcase Properties agent for more information on real estate services and resources available to you.